Dear partners and colleagues! We would like to officially announce that on November 11th 2015 XOtel has completed 100% acquisition of Camel Mobile SIA. 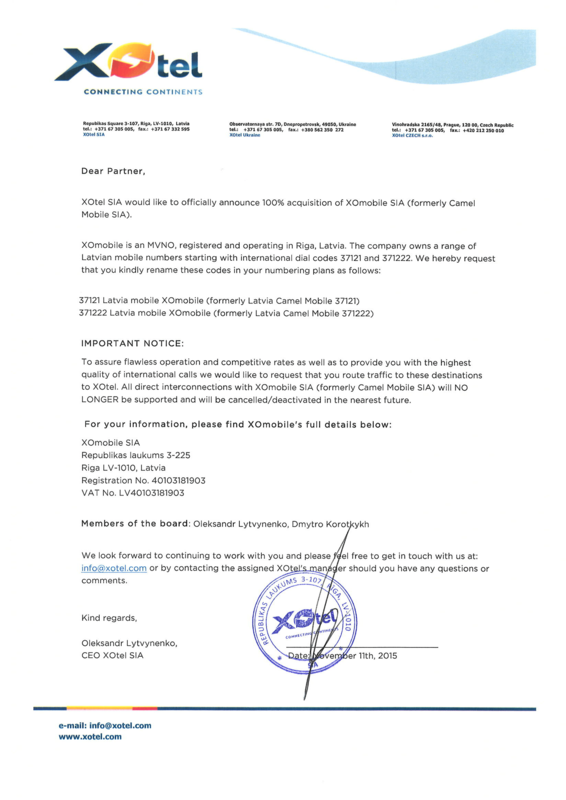 Camel Mobile was rebranded, the company changed its name to XOmobile SIA and it is 100% subsidiary company of XOtel SIA.